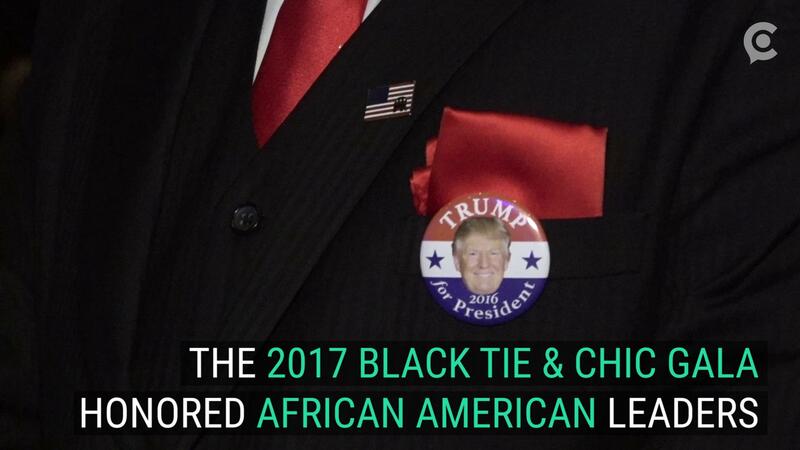 Black Republicans celebrated Trump's inauguration last night | Circa News - Learn. Think. Do. Black Republicans from around the country gathered Wednesday at the Watergate Hotel for the Black Tie and Chic Gala to celebrate Donald Trump's inauguration. The event was hosted by Aaron Manaigo, a former senior advisor to Trump's Great America PAC. HUD Secretary-designate Ben Carson attended, along with his business manager, Armstrong Williams, who served as master of ceremonies. Former HUD Secretary Alphonso Jackson, former RNC Chair Michael Steele and former Congressman J. C. Watts (R-Oklahoma) were also among the attendees. How important is it for Republicans who happen to be black to be here? It's important. "We want to capture that feeling of winning and bring together a wide cross-section of African-Americans and others from all around the country to let them celebrate in the victory of Donald Trump," Manaigo said. "So that's why we did what we did this evening." The attendees who spoke to Circa wanted to see more events for Black Republicans. "I think we need to do more of this so the word gets out that, like in Michigan, I'm not the only one," said Wayne Bradley, the Michigan GOP State Director of African American Engagement. "You know that's the word we want to get out there -- we're working together, and there are plenty of us and we have a voice that needs to be heard."